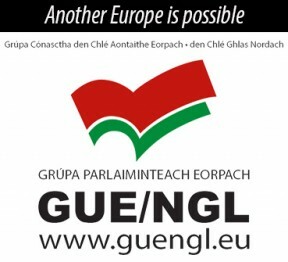 A DÁIL BILL co-sponsored by Sinn Féin TDs Aengus Ó Snodaigh and Seán Crowe seeks to “enhance the state’s neutrality” and “focus on working with countries to implement global targets on issues such as land rights, climate change, citizen participation, economic equality and government accountability so that the world can become a safer place”. The move has been made necessary again by the continued use of Shannon as a hub for foreign military interventions around the world and ongoing moves to draw the Irish Defence Forces deeper into EU military structures dominated by countries whose foreign policies are rooted in their imperial and colonial pasts, the TDs say. “Some of these countries’ interests include their arms industries and they have an eye on possible resource wars in the future,” Aengus Ó Snodaigh said. Seán Crowe said that foreign militaries use Shannon Airport and Irish airspace to transport troops, weapons and supplies and fly secret rendition flights. “That’s why this legislation needs to be enacted without delay,” he said. The Sinn Féin Bill’s purpose is to enhance Irish neutrality by seeking to insert neutrality into the Constitution and to ensure that Ireland is prohibited from aiding foreign powers in waging war. The Bill seeks to amend the Constitution to ensure that Ireland will not and could not aid foreign powers in any way in preparation for a war save with the assent of the Dáil. The Bill also affirms that Ireland is a neutral state with a policy of non-membership of military alliances. Ultimately, this Bill gives power to the Irish people, as it would mandate a referendum to decide if Irish citizens want the state to be a neutral country. Sinn Féin says it has sought to introduce this Bill to ensure that this Government cannot and will not continue to undermine Irish neutrality. “A referendum would bring clarity to this state’s neutrality policy, which has become blurred, distorted and riddled with double-speak as successive governments say one thing but actually do the opposite,” Aengus Ó Snodaigh told An Phoblacht. “The continued use of Shannon Airport by foreign militaries to facilitate their ongoing wars, coupled with the increased militarisation of the EU, and this state’s deeper integration in the EU’s military system, ensures this Bill is timely. 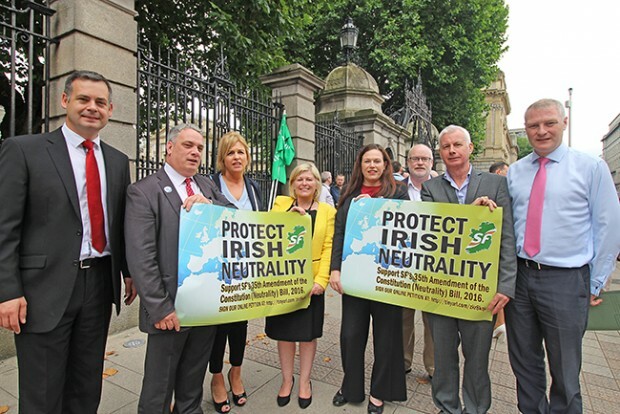 This is the third time in over a decade that Sinn Féin has tabled a Neutrality Bill,” Aengus Ó Snodaigh reminded people. And he accused Labour of “flip-flopping” on the issue, voting in favour of the Bill in 2003 only to then reject it in 2013 when they were in government with Fine Gael. Deputy Ó Snodaigh said that, considering Fianna Fáil’s past track record, he does not expect them to support the Bill, a backing that would guarantee its passage. “It was, after all,” he explained, “a Fianna Fáil government that signed Ireland up to NATO’s misnamed Partnership for Peace (PfP), which in reality is a stepping stone to full NATO membership. 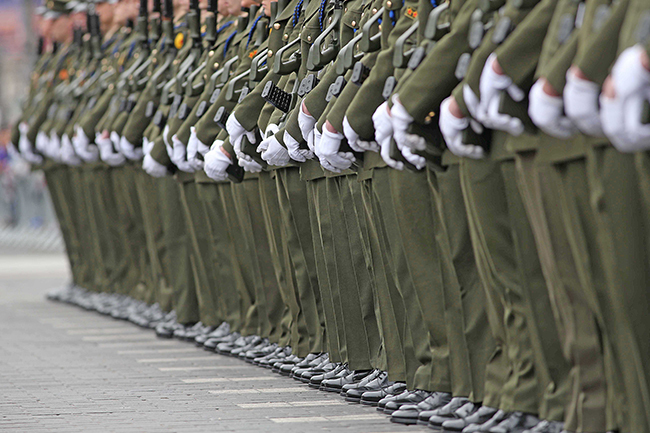 Ireland has a dedicated NATO PfP office in Brussels.